We are presenting the following “thumbnail” listings to provide our visitors with a short overview and checklist of landscape design elements and subjects they might consider when they embark on creating a landscape design. We suggest that the client or designer seeking discovery within these listings, start with an open mind and peruse the subjects and elements they are interested in. We will admit to leaving out some options in each listing, but not very many, as you will see. However, the combination of an open mind joined with a visual interpretation of our offerings will hopefully “jump start” the design process by sparking the readers imagination and encourage the creation of their own visioning process. This is a reason for brevity of description. We are interested in placing the germ of an idea in the readers mind and not attempt to fill out any concept. That is the job of the client and designer as individuals or as a team. This is not a “How To” publication as much as a "What To" one . The reader, whether they are a landscape design professional or a property owner wishing to create their own gardens are advised to use the ideas and suggestions within to start the design process. Then they should go on to finish it with appropriate detailed studies of their ultimate selections. We simply hope that the property owner will find inspiration and enough information after scanning these suggestions that will allow them to communicate their visions to a landscape design professional and conversely provide a design professional with a reference guide that may assist them with the occasional “design blockage syndrome”. Please visit The Art of Landscape Design under "Photo Tours & More" to read an expanded description of these garden subjects in Chapter III & IV, with Garden Gates 1 through 6 in our book "Gateways To Your Garden". What Is Landscape Design All About? This information is offered more for the client or amateur landscape designer, as a landscape design professional reading this will most likely have been beaten and battered by the process of becoming a competent and confident designer. They will not really want to read what some other designer thinks this subject is all about. They will also have had their share of pouring through many complex design books on difficult landscape subjects. These designers will most likely have made more than their share of mistakes while implementing their plans. Some of these mistakes can be truly alarming, as, unlike non-growing architecture, the mistakes tend to mature bigger and more obvious as time goes by. At least a building architect takes the blame for their aesthetic errors and hopes that observers get used to it over time, as a form of benign acceptance. Not so with landscape design! Once the mistake is made and not corrected, the garden element that should not have been, becomes the garden element that loudly attests to the error. We can make the analogy that a landscape error starts out as a small balloon that keeps getting bigger as time and growth rates dictate and ultimately pushes other less offensive elements off to the side. Perhaps this is one of the best reasons to use an experienced landscape design professional as they are less likely to design one of these awful balloons - again - into a new project. At any rate, for those individuals who do want to know - what is landscape design all about? There are a number of apt descriptions and we herein present a few of them, and of course, in a brief no nonsense format. Some of these one line responses are somewhat repetitive or redundant, but that is a good way to get ideas across to different readers, many of which have different ways of perceiving an idea, and a difference in perception is what landscape design is all about. To design is: To conceive, invent or fashion a strategy in the mind of the clients or landscape designers who will create a desirable and appropriate landscape solution for their project. To design is:To formulate or devise some form of plan to implement the expectations of the client. To design is:To create a scheme that will demonstrate creativity in any landscape planning. 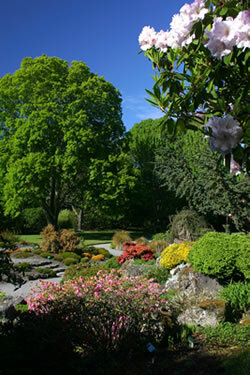 To design is:To establish landscape procedures to be used in directing the management of garden space. To design is:To create a visual process that will be used to direct the attention of observers to desired things or places. To design is:To create a plan that will depict future spaces within the grounds in a systematic, specific manner, and usually presented in graphic form. To design is:To create or contrive a program or plan for the particular purpose of achieving a landscape solution through problem solving and aesthetic design. To design is:To insure that an otherwise chaotic landscape will have an organized and appropriate purpose to it. To design is:To demonstrate a design solution that urges a viewer to have a distinct and hopefully pleasurable experience in the garden. To design is:To create or execute an idea in an artistic or highly skilled manner. To design is:To have a goal or purpose in mind. To design is:To create a plan by sketching, drawing or drafting a graphic representation and especially a detailed plan for installation. To design is:To establish a purposeful or inventive arrangement of landscape parts or details. To design is:To prepare a basic scheme or pattern that affects and controls function or development. To design is:To effect reasoned purpose. To design is:To implement deliberate intentions. We are sure that the reader could add many other one-liners to this listing but we are sure you get the point being made. We design gardens to solve problems, demonstrate visual joys, create various places within the garden that will accommodate desirable activities, increase or maintain real estate values and generally to make the clients proud and their lives easier. Design is one of the most wonderful of all human endeavors and we sincerely hope that our publication will inspire and involve many of our readers into this process. There are very specific reasons to conceive and draft a landscape plan, but often all of those factors are not immediately obvious. Some catalysts that urge a landscape plan to be implemented are basic to the finishing of a building site while others may be very personal in nature, but no less important to the individual, family or to the process itself. A well-designed garden requires as much problem solving and an application of logical thought, knowledge and experience from the landscape design professional as it does the utilization of creative talents. 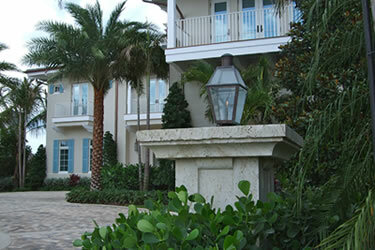 Following are a few of the most important reasons that should compel a client to create a landscape plan. Client interests: Clients have or at least should have very specific uses intended for their landscape, but often those desires need to be drawn out of them by the landscape design professional. Solving problems within the site: Few clients acquire the perfect building and landscape site. 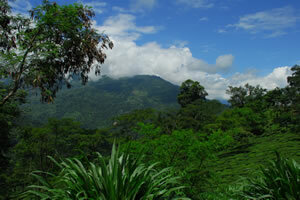 There are problems with the view, drainage, soil conditions, exposure to the elements and other undesirable conditions. Seek experienced help in resolving those concerns when the need arises. Community Requirements: Municipalities often require a minimal amount of landscape and gated communities have even higher expectations. Ego satisfaction: None of us can help it. We get satisfaction when we are looking good and impressing our friends and neighbors. Family needs & activities: Every member of the family should look forward to something that is theirs in the garden, be it sports, entertainment, hobbies or activities. Love of gardening: There is no better reason to create a good landscape plan than the love of gardening and a well thought out design will promote that worthy goal. Maintenance: Consideration of the will and capability of the client to keep the garden in top condition will require careful planning. 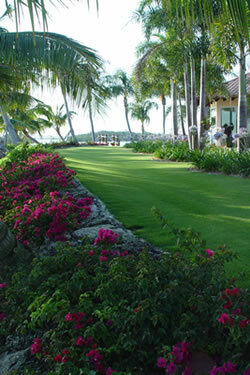 Real estate value: Appropriate landscape design will greatly help to maintain or even increase the value of property. Social image: This may or may not be a high priority to a client, but few people want to be the pariah in the neighborhood because they don’t keep the neighborhood standards up. This category discusses the selection of the individual or firm that should be considered to assist a client with preparing a landscape design, all called landscape design professionals herein, in the name of simplicity. Design/Build firm: These companies usually have a landscape contracting or ornamental landscape nursery as their primary business and normally utilize the design process as a tool to sell those services. Gardener: Generally described as a person who specializes in planting and culturing a garden dominated by plants and flowers. More complex landscape architecture is usually not offered. Landscape architect: Their higher level of formal landscape education permits them to prepare more complex projects such as large scale land planning, storm drainage and landscape construction detail. 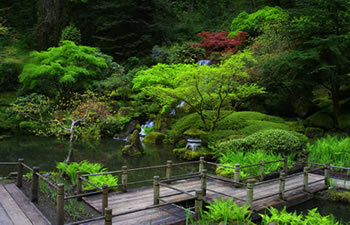 Landscape designer: This professional generally has garden design as their primary emphases. Design is usually their only business and their primary value to the homeowner. Principals are the first, the highest and the foremost requirements in formulating a landscape design. Certain fundamental principals of good landscape design apply equally to all design problems. These are the main concepts that designers have in mind when they are initiating a landscape plan. If there are other design elements that you as a client or designer feel should be considered principal, then by all means use them providing they have common sense and suggest broad application. Balance: A harmonious or satisfying arrangement or proportion of parts or elements. Linear or Curvilinear: This element is not considered a design principal by many landscape design professionals, but it is such an important issue when establishing a landscape design that we list it as a principal. Function (or is it Form? ): Consider how the client will initiate & utilize the garden. The design should work well and look good. Scale: The appropriate relationship of scale for each site element to each other is imperative. An estate garden for a cottage doesn’t work. Nor does a cottage garden for the estate look anything but ridiculous. Simplicity versus complexity: Don’t create a landscape to be more complex than needed to meet goals. There is strength in simplicity. Unity: Make sure individual parts of the total design combine and work with each other and the building to create an integrated design unit. Get to know your site in detail before you sit down to design the landscape. Your first impression may not reward you with the proper information. A careful study, performed over a reasonable period of time will most likely surprise you. Also, the more accurate the survey of the site is, the better your design will become. If there is significant topography inherent in your site, an investment in a professional detailed inventory is well warranted. Bad views: You generally cannot make a bad view good, but you can eliminate it. The resulting design that block the view should not be obvious in its intent. Climate: Become familiar with the sites climate, its normal characteristics and extremes and plan the garden to accommodate and thrive under both conditions. Drainage issues: Storm water must leave the property. If it can’t percolate through the soil, you must direct it towards the appropriate outlet by pipe or swales. Good views: If you have good views, make them better by directing interior viewpoints towards them and by adding view enhancing framing with trees and shrubbery. Soil types: Your plants need a good base to thrive in. Analyze what you have and plan on improving the soil if you need to. Sunlight: You need the right amount of sun in the appropriate spot. Modify those rays you don’t want through using the proper placement of trees or other sun shields. Topography: The ups and downs of your ground will affect aesthetics, drainage and even house positioning details. Obtain accurate measurements on the changes and composition of the site. Tree canopy: Too little or too much is usually the case. Adding or removing trees will be your first priority of design. Mature canopy coverage will dictate plant selection and climate control. Wind: Breezes are great; wind is usually not so great. Direct those breezes with trees, hedges and walls. Obstruct any winds with the same. It’s not what but where that makes the solution. 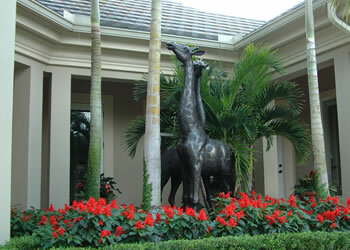 Before a specific garden design style or theme is selected, some general design specifics must be considered. These considerations are generally quite basic in nature and detail the problems from within or from outside the site. Every factor needs to be analyzed and resolved. These considerations should also include design theory and involves intrinsic design methodology that will serve to support any specific style that is ultimately selected. It is amazing how some landscape design professionals overlook this required due diligence procedure in their review of the site. Quite often, it becomes just a case of the designer placing the topographical features on a plan and launching directly in the garden style implementation. This is a foolhardy approach that will cause the designer to move into many difficult tasks that tend to be compounded as the plan moves forward. The following category elements can serve as a checklist for the landscape design professionals to use as they prepare the landscape plan. Accents: These elements are not the primary features of the garden, but they are important additions used to provide interest, support the landscape theme and indicate the owner’s interests. Angles of view: Garden elements will be viewed from inside the house, within the landscape or perhaps from street side. Insure that all viewpoints are considered. Architectural Integrity: It will not benefit the buildings architectural design or the landscape design, if architectural integrity is not protected. Both design goals must be supported by each design discipline. Artistic expression: You may want to project a specific artistic viewpoint to guests, the community or even the family. This may be done to satisfy architectural themes or simply for the clients enjoyment. Atmosphere: Atmosphere and its attendant emotional impression is not an accident of design, but results from that design. Avenues/allee: Essentially this is a framing technique that accentuates a view or creates a dramatic or pleasurable passageway into or through a garden. Budget: This issue will crop up everywhere, all the time. Don’t ignore it. Settle the reality of what you will spend on your landscape early in the process. Change: A garden in stasis is not nearly as interesting as one that is capable of altering or modifying itself during its lifetime. Climate: This factor will define and establish the palette of plant material to be used and affect the areas of garden activity. Color: The use or non-use of color should not be accidental. Use a color palette wisely and with purposeful intent. Conceptual: Create a design concept first. Too much attention to detail at the start of a design can divert attention from the big picture. Contouring: Changes in elevation, either existing or planned will have a great impact on the overall design. The finished landscape contour should exhibit a basic aesthetic beauty, even before planting occurs. Contrast: The use of opposing elements, such as colors, sizes, forms, or lines, in proximity to each other produce an intensified effect in a garden, causing pleasure and eliciting interest. Decoration: In landscape terms, this is like icing or lettering on the cake. Decorations are important but usually not dominant within the design. Dominant theme: Sometimes the overall garden has a theme, but more often, various segments of a garden have one. But do have one. A garden without a theme is like a beautiful person without a personality. Drifts: Groups of plantings that “drift” across the landscape are a very effective design technique. Their patterns should not be accidental. They should have form, color, dimension, texture and relationship. Entertaining habits: If you entertain frequently, don’t restrict the designated entertainment space. Spacious is gracious. Existing features: Don’t attempt to ignore or minimize existing views, vegetation or structures. Good or bad, they must be dealt with. Hide them or enhance them. The choice is yours. Extending: It can be very effective to extend, through design techniques, your views or perhaps even your garden usages outside your property boundaries. Think outside the box. Expectations: The client, the community and the designer all have certain expectations for a completed landscape and those expectations must be understood and managed. Form: When creating a garden, all is form. 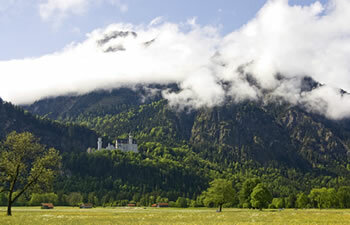 Be definite and terra-form a forest, a valley or other defined shapes in the landscape. Again, be definite- no accidents allowed. Foundations: The formulation of a clear foundation based on setting a garden style and implementing clear development instructions is essential to a plan. Framework: This is essentially the element that encloses the garden. 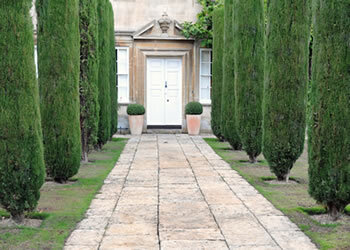 Hedges, walls, tree canopy etc., can provide a strong framework for what lies within. Function: How will you use this site? Form encourages and promotes function in a successful landscape. 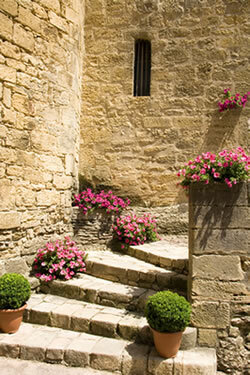 Geography: Garden planning takes into consideration the entire geographic environment. The sites elevation above sea level, characteristics of indigenous soil and natural rock base, slopes, climactic ranges, duration of daily sunlight etc. Hedging: These visual and physical barriers may be required, desired or perhaps even offensive. Have a reason to include them in the garden. Indoor/outdoor merge: It is popular to extend many indoor rooms visually out into the garden. The technique encourages outdoor activities and brightens the interior rooms atmosphere as well. Light: The art of controlling the intensity and the direction of sunlight or artificial light when it is applied creatively can greatly affect the aesthetic quality of the landscape. Material interactions: Not all plants will live in harmony with other plants. Not all non-plant material will look good with other garden elements. Know your material. Compatibility is not just for people. Motion: It is unlikely that a stiff or static garden would be attractive to anyone, whereas the motion of moving water and tall grasses and plumes dancing in the breeze is delightful. Movement/egress/ingress: People will move within the garden to somewhere or even to nowhere in particular. Attempt to anticipate possible routes and make movement easy and enjoyable. Orientation of house: The client and design team should place the house to take advantage of views, breezes and desired sunlight. Avoid subjecting doors, windows and outdoor seating to harsh elements that you cannot modify. Patterns: Similar to a quilt, patterns of color or textures can be arresting. Note that even a paisley pattern has design and relevance. 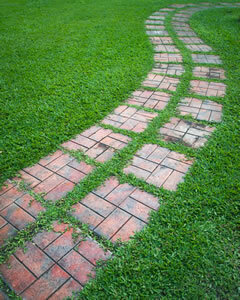 Insure that your garden patterns stand on their own integrity and contribute to the whole plan. Permanence/non-permanence: Just how long can the perfect garden design last in the face of growth, aging and climactic conditions? Intelligent planning is the most important factor in the plan. Perspective: Insure that all landscape elements are selected and positioned within the plan to demonstrate a proper and meaningful perspective as seen from every viewpoint. Plants: Just like us folk, all plants are not compatible. Soil, water and feeding habits are just some of the factors that determine who lives with who. Planting palette: Early in the design process, a good designer selects a palette of plants and non-plant elements that represent the clients needs and fits well into the sites environment. The detailed landscape plan evolves from that palette contents. Privacy/seclusion: Many clients have a priority on privacy. The challenge is how to achieve that goal without making it obvious or dominate the overall plan result. Proportion: Make sure that all landscape elements are properly related in size, degree, or other measurable characteristics. Relationships: Try to fit in comfortably within your neighborhood and your community. If you want to stand out, do so within the bounds of good taste. Restrictions: Community restrictions often interfere with a clients landscape goals. Be prepared to accept compromise as an acceptable design solution. Retention: This refers to the method of retaining those elements within a site that should be retained, such as soil and water. Scent: Distinctive, agreeable odors of roses, jasmine, honeysuckle and thousands of other plants and flowers should delight visitors to a garden like no other feature. Shade: Sunlight can be diminished in intensity by intercepting the rays through tree canopy, awnings, pergola’s and umbrellas to provide comfort and aesthetics. Shadows: Shadows can be a result of partial shade production, but they are an end product worthy of actual landscape design planning as well. Site characteristics: Each site has its own personality or character. The landscape designer must decide how best to accommodate, alter or enhance that aspect of the site. Soil: Few sites have the perfect soil. If it does, protect it and if it doesn’t, an appropriate growing medium must be provided. Sound: There must be consideration given to the sound created within the site, that should not intrude on others outside the site and further consideration to keep external sounds from intruding into the site. Space: Space in a garden should never be empty and must be filled with meaningful contributions to the targeted garden design and site problem solving. Spatial arrangements: Tree canopy, shrub mass, natural site elements and the building must all be comfortable in height, mass & scale. Each element standing on its own does not mean they are to dominate each other. Substantiability: Can the selected landscape design stay in optimal condition under the pressures placed on it from anticipated climactic, nurturing & budgetary pressures? No surprises please! Symmetry: This is the representation of balance or duplication of landscape elements on either side of a viewpoint or axis line. Tableaux: Adjacent landscape elements should present a meaningful and attractive picture to those viewing it. The resulting tableaux should not be accidental. Textures: Foliage textures often have greater impact on garden aesthetics than blooms. Combine pleasant leaf textures, avoid too similar colors and/or leaf sizes in immediate plant communities. Topography: Dramatic existing rises and depressions, (slopes, berms & general contours) within the site can dominate the design. Trees, buildings and other features need to be defined and analyzed. Touch: To consider a garden where many elements are perceptible to the sense of touch will delight all guests to the garden, but be especially meaningful to those individuals that have limitations with their other senses. Transitions: Where one specific garden segment merges with another is a transition point. Make that juncture smooth, seamless and relevant. Tree canopy: Tree canopy is a major factor in your design considerations. If you have significant canopy, work with it. If you don’t have it, create it. Variety: Said to be the spice of life, it certainly is the life-blood of garden design, but it should be used as necessary to the design goals and not to excess. Views: Analyze site views carefully. The first “best view” impression may have other problems attendant while a lesser view, when properly landscaped may excel. There are certain characteristics that are design related or perhaps better related to a lack of any design consideration. It is all too common that these elements are carried into the landscape by a lack of consideration on the part of the client or landscape design professional. It makes sense to sit back and consider these factors early in the design process so they can be avoided and omitted from consideration. Blocking: Some of the things to be blocked are bad views, irritating noise, offensive smells and climate extremes, but take care not to block the opposites in all these and other positive aspects. Boredom/dullness: This is a concept that must be avoided in the garden design. Attempt to insert something interesting, very pleasant or even intriguing into every garden segment. Chaos: This condition results from a lack of planning and proper coherency in the landscape plan. Know where you are going and how you are going to get there to avoid this condition. Congestion/Cramped Space: Give every living thing room to grow. 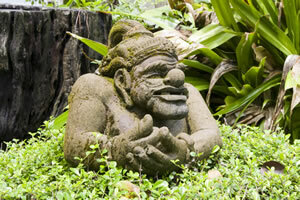 Give every non- living landscape element room to look good on their own. There is rarely any reason to cram anything tightly together. Harshness: The designer must make sure that the garden does not become disagreeable to the senses by allowing undesirable sounds, sights, odors and a general lack of sophistication to prevail. Imagination (A lack of): This is the most overlooked factor in creating a landscape design while at the same time the most important talent the client and designer can use. Incompatibility: All garden elements need not be identical and to make it so would have a disagreeable result. But there are elements that do not belong or are discordant within the whole and these must be avoided. Indifference: If the landscape design professional is indifferent towards any aspect of the landscape plan, it will show in the final implementation. Make every design segment count for something. Inconsistency: The final landscape project should be consistent in value, quality and intent. To be inconsistent in a detail will result in a loss of integrity of the whole. Intrusion: This characteristic is a somewhat subtle no-no in a design usually created by demonstrating an offensive stance against a neighbor or community. Impermanence: Nothing is permanent in the landscape but there is a normal and reasonable expectation of how long landscape elements should last and function well. The designers must do their best to optimize those expectations. Irrelevance: Don’t waste time, talent or money on incorporating elements that are not relevant to the garden theme, the buildings architecture or the client’s interests. Ostentatiousness: This is never an appropriate image to project. The less fortunate will resent the showoff, peers will consider the attempt crass and the upper crust will consider an inappropriate display lacking in discrimination and sensibility. Tasteless: Always attempt to show appropriate taste in all landscape designs. 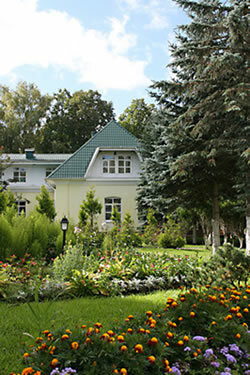 The reputation of the client and the landscape design professional rely on this trait. Trendy: Trends may lead to a classic design solution but more often being trendy imparts a less than long-term sustainable aesthetic. Be very careful when buying into the trend of the day. Wastefulness: No one admires waste in the landscape design. It indicates poor design implementation, suggests carelessness and diverts funds to inappropriate areas of the landscape project.